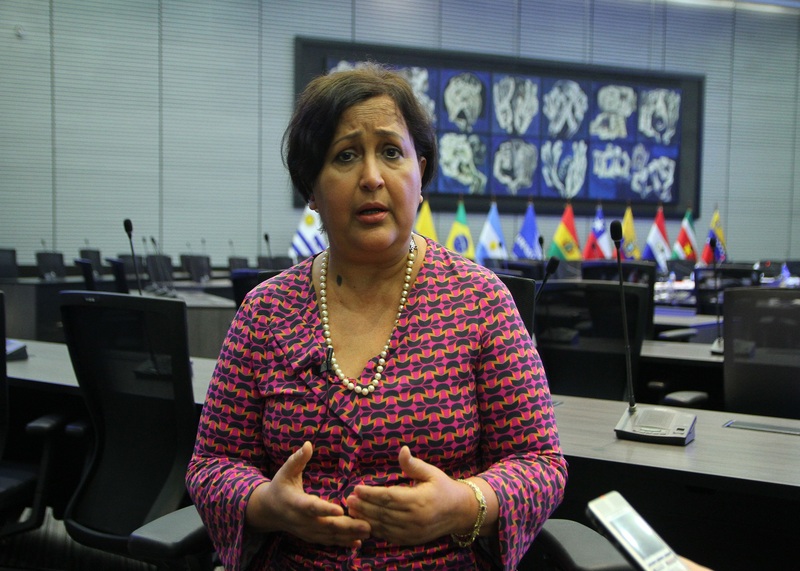 The general position of the Council on Hemispheric Affairs (COHA) on the ongoing developments in Venezuela is that Washington has a misguided policy toward the South American country. 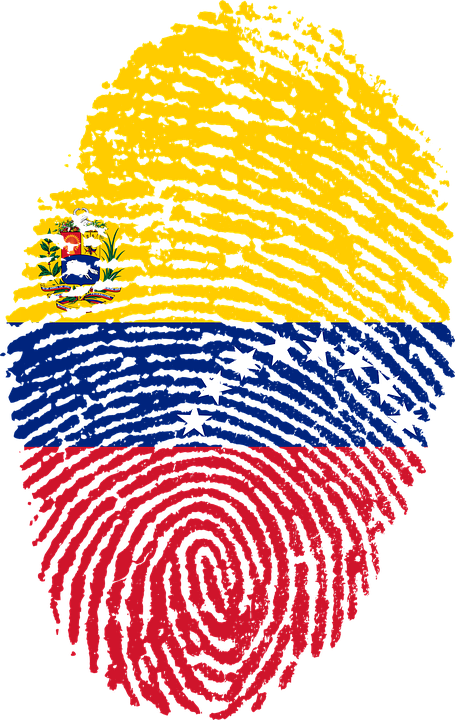 Moreover, Washington’s Venezuelan policy directly conflicts with the rest of Latin America’s thinking on the subject. This gap may cost the already diplomatically embattled U.S. in the near future when it comes to improving its already damaged image in the Americas as well as its diplomatic ties with Venezuela’s allies, such as Argentina, Bolivia, Cuba and Ecuador. Who Creates Washington’s Policy Towards Caracas? In the current extremely tense atmosphere, it would seem that the White House is much more likely to respond with favor to a growing Venezuelan exile group in Florida than to a growing Latino community who want the Obama administration to bring about real and progressive change to the inter-American system. Back in November, Secretary of State John Kerry famously declared in a speech at the Organization of American States that: “the era of the Monroe Doctrine is over.” The situation in Venezuela is a real-life test for Washington to demonstrate that Secretary Kerry’s historical declaration will be followed through, unlike the December 1933 Montevideo Convention. Right now a question revolves around whether the Venezuelan government had sufficient grounds to issue the recall instructions against three U.S. officials to be ejected from Caracas. 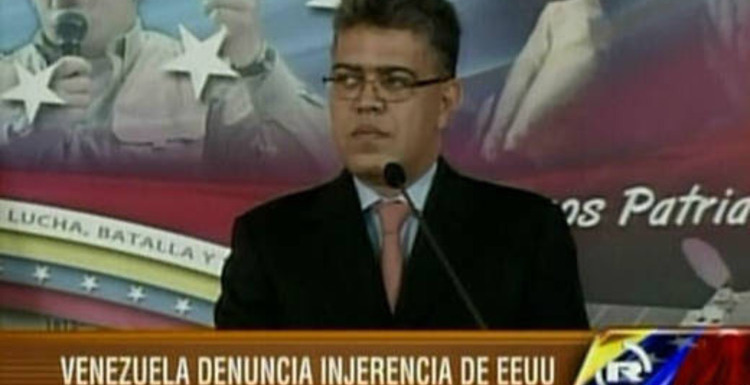 Jaua stated that the Embassy officials had been visiting universities under the false pretenses of granting students with visas, however he charged that “at bottom that is a cover to establish contacts with leaders who they recruit for training, for financing and the creation of youth organizations through which violence is promoted in Venezuela.” This most recent expulsion mirrors those of September 2013 when Maduro announced on state-run VTV that he was expelling three U.S. Diplomats, similarly charging that, “They have 48 hours to leave the country…Get out of Venezuela…Yankee go home. Enough abuses already.” This marks the third time in less than a year that President Maduro has expelled American diplomats under the allegations of supporting opposition factions to incite a coup. While the names of the three-expelled diplomats have yet to be released, the U.S. State Department has publicly and adamantly denied the accusations. Meanwhile, the Twitter account of the U.S. embassy in Venezuela continues to be active and has tweeted that it will continue to operate normally and has no plans to suspend operations. The Council on Hemispheric Affairs, like much of the international community, awaits the release of factual evidence to support the consular officials’ expulsion. Until such time, only speculations can be made about the validity of the administrations’ statements and whether or not the expulsions are justifiable. Even without evidence, it is far from outlandish to speculate that American institutions are using their chartered mandates as a guise to intervene in internal politics. In Alan McPherson’s “The Encyclopedia of U.S. Military Interventions in Latin America” the author goes into detail about the prevalence of, most notably, extending U.S. power militarily through local actors, citing the CIA-led coup against Guatemalan President Jacobo Árbenz in 1954, the response to Cuba from 1956 on, the intervention in the Dominican Republic of 1965-1966, the support for Pinochet’s coup against Allende in Chile in 1973, and the invasion of Grenada in 1983 among others. In a historical context, Maduro’s charges do in fact follow a pattern of U.S intervention in Latin American politics. This historical record and suspicions notwithstanding, COHA still urges the Venezuelan government to conduct an impartial investigation into the expulsions, however utopian a request that may be. Impartial investigation aside, one thing is certain: the expulsions will serve as political fire for both the opposition and Chavista, pro-government factions alike. Critics of the government have often pointed to Maduro’s efforts to provoke crises with the U.S. as a “diversionary conflict” method to distract citizens from the dismal realities of the state’s economic shortcomings, as they are certain to continue to do with this instance. Likewise, pro-government supporters and the Maduro administration will use the expulsion as evidence that they are willing to take action against the U.S. for again meddling in the politics of a sovereign Latin American nation. At the time of this writing, there is bizarre, and apparently false, news floating around the internet regarding a potential U.S. military operation in Venezuela. Arizona Senator John McCain is being quoted as stating that the U.S. could (or rather should) prepare a military operation in Venezuela and that it can ask U.S. allies in the region, namely Colombia and Peru, to create some kind of multinational coalition a la Iraq or Afghanistan. A report apparently accredited to the Agence France Presse and Xinhua (a Chinese news agency), allegedly quotes Senator McCain making these declarations in an interview with NBC. COHA has tried to independently verify these alleged statements and they appear to be false. A recent interview with Senator McCain on CNN’s The Jake Tapper Show, focuses primarily on the situation in Ukraine. There is a brief 30-second segment in which Senator McCain discusses Venezuela, but at no point does he talk about military intervention. Moreover, the articles and blog posts where these alleged statements by the Arizona congressman appear are all in Spanish. COHA has not found any major news media outlet, be it in English or Spanish which confirm these statements. COHA has contacted Senator McCain’s office in Washington D.C. to confirm the veracity of these allegations. Upon calling the senator’s office, we were asked by Press Secretary Rachael Dean to email links to the articles in Spanish that COHA’s research team found. The response to our email stated that “the quote is not accurate” and directed us to Senator McCain’s interview on CNN. Given the gravity of these alleged statements, COHA calls for caution. Articles and blog posts quoting or paraphrasing the quotes are spreading throughout the internet, most prominently on Twitter, despite the lack of verification on the matter. The Council on Hemispheric Affairs urges the State Department to declare its respect for Venezuela’s sovereignty and respect the results of the 2013 elections which, while certainly polarizing, were democratic. Certainly, taking this diplomatic stance does not equate to neutrality, as the anti-Chavista factions would like to see regime change. Hopefully, President Maduro’s pledge that he is open to dialogue with the opposition is not a hollow one. COHA eagerly encourages all sides (the government as well as opposition groups) to refrain from further violence.